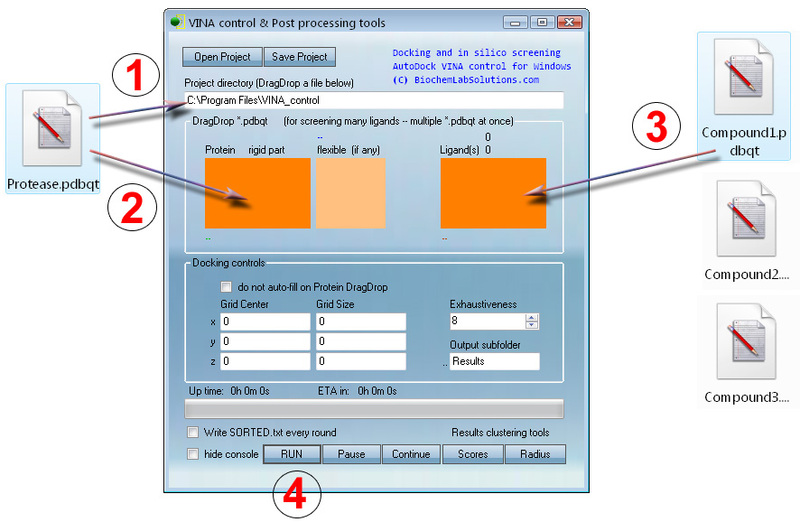 Carry out high-throughput screening of compound libraries with Vina and cluster resulting PDB files of ligands by binding energies and by binding positions. Results processing functions do not require Vina installed. Screening scale is unlimited. Note that grid parameters are automatically computed at step 1 to cover the entire Protease.pdbqt. Optionally (for advanced users) - to focus fitting on a specific protein pocket - enter the x, y, z manually. At step 3, any number of ligands (100,000 ? - sure) can be drag-dropped for automatic screening. "Grid box" is a selection of 3D space around the protein. 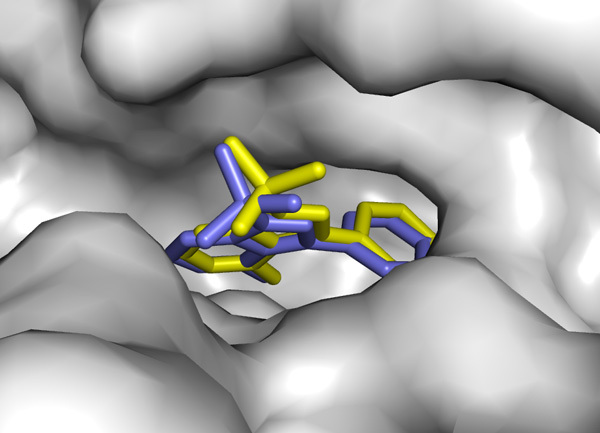 Ligands are being moved and docked only within constraints of this 3D box. Box center = "grid center", box size = "grid size". or other files to pdbqt, please visit MGL tools web site and read our formats page.